Brooke Guinan’s family has a history of careers in fire fighting. Guinan did not think she could continue the tradition in the male-dominated fire department because she identifies as a transgender woman. But Guinan’s love of public service ultimately drove her to continue her family legacy in the fire department. Since 2015, Guinan has served the FDNY as its LGBTQ outreach coordinator. In this role she has directed and produced training tools and services to better equip the FDNY to understand and work with the LGBTQ community. “The firehouse can be fun, but I am so enamored with my community and I am very pleased and grateful to do a different kind of lifesaving work in the fire department,” Guinan said. James Fallarino, spokesperson for NYC Pride, said Guinan appears to be the first openly transgender member of the FDNY. 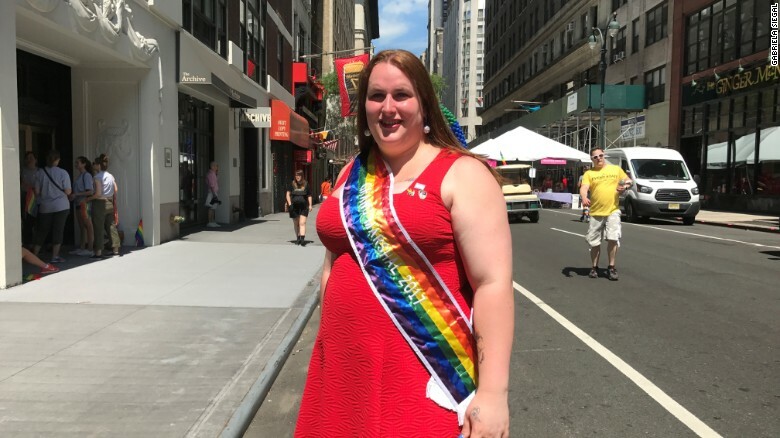 The NYC Pride March is the largest pride parade in the United States and is meant to celebrate the LGBTQ community and bring awareness to issues the community faces. 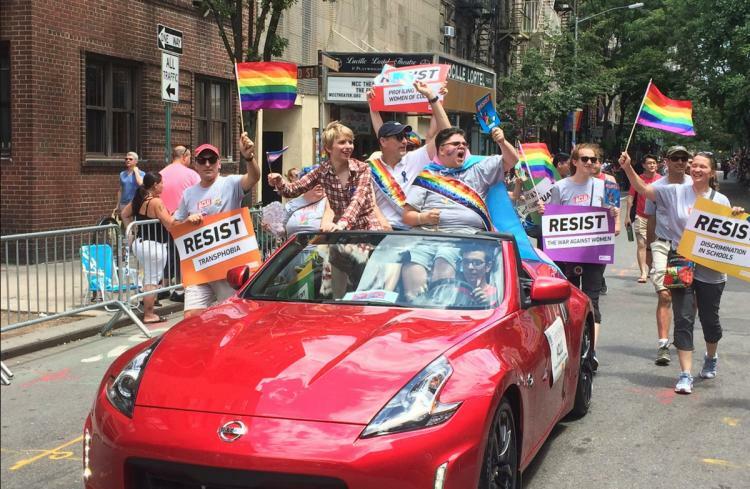 Released earlier this year from prison, trasgender activist Chelsea Manning, took part in her first LGBTQ pride parade in New York City on June 25. Manning is the former U.S. Army soldier convicted by court-martial in 2013 for violating the Espionage Act after leaking the largest-ever number of classified documents to WikiLeaks. Prior to leaving office, President Barack Obama commuted Manning’s sentence and she was released from prison in May. Manning marched with the American Civil Liberties Union along with Gavin Grimm. Grimm is the transgender teenager whose lawsuit over a school bathroom was remanded by the Supreme Court. Michael Richman and John Rabbia met three years ago at NYC Pride when they joined a group of flag dancers named, “The Flaggots.” After dating long-distance, finally they found themselves in the same city so John decided to propose. For the perfect proposal he received help from the whole Flaggots team. During their routine at NYC Pride in June, John emerged out of an abundance of LGBT flags, got down on one knee and proposed to Michael. “There is hope,” he said. 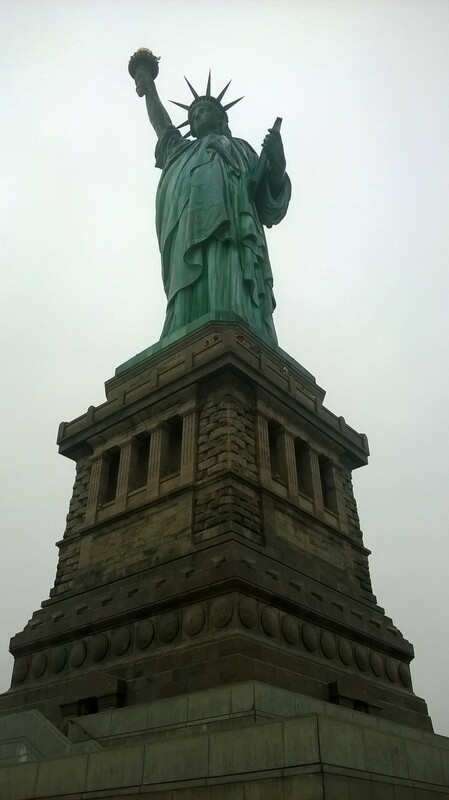 For the first time in my life I visited the Statue of Liberty this week. Classic American icon, symbol of freedom and rallying point of our nation, she has captured my heart and my imagination for as long as I can remember. Like many Americans, I cannot recall a time in my life when I did not know of her existence. Lady Liberty reminds me of the journeys and voyages so many of our ancestors made in the name of freedom. Unbiased and unaffected by politics, she stands strong in her metaphor, having served for centuries as a towering, loyal witness, guardian and protector of the land of the free. Her steadfast stride breaking free of her shackles is a statement: Change means revolution. The U.S. has a long history of challenges in the name of freedom. We are known the world over for going to great lengths to preserve and protect our ideals. But as a nation we are far from perfect when it comes to our own standards of democracy. We have made grave mistakes which have cost countless lives in the name of defending democracy and we often struggle to find a balance between promoting that democracy and protecting human rights. We sometimes fail, gravely compromising the very rights we are trying to protect, overlooking own citizens’ needs. Lucky for us, we are also a nation always evolving, always growing, always striving to do better. The Statue of Liberty reminds me of this. Appropriately named, “Mother of exiles,” she is exquisite; bravely holding the torch that lights her own way.